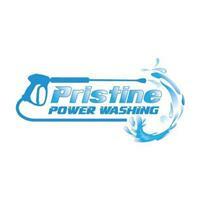 Pristine Power Washing - Cleaning Services based in Hartley, Kent. Pristine Power Washing are the company of choice for cleaning and restoring exterior hard surfaces in Kent and South East London. At PPW we strive to ‘be the best’ when it comes to cleaning and restoring your Drive, Patio, Roof and Gutters that is why we have invested in the latest professional pressure cleaning and high reach gutter vacuum technology on the market so as to leave your property looking like new. The pressure washing equipment we use eliminates the ‘stripy lines’ effect associated with a DIY jet wash and also keeps the over spray contained. This equipment allows us to give a much deeper, longer lasting clean. We believe PPW are currently one of the first companies to use the new high reach gutter vacuum technology which allows us to clear gutters in difficult to reach areas from the safety of the ground, therefore making it quicker, safer and cheaper to clear out your gutters than climbing up a ladder ‘the old fashion way. We are experienced in high and low pressure cleaning a range of exterior surfaces from residential driveways, patios, swimming pool surrounds, exterior walls and roofs to commercial forecourts, car parks, private roads and pavements.